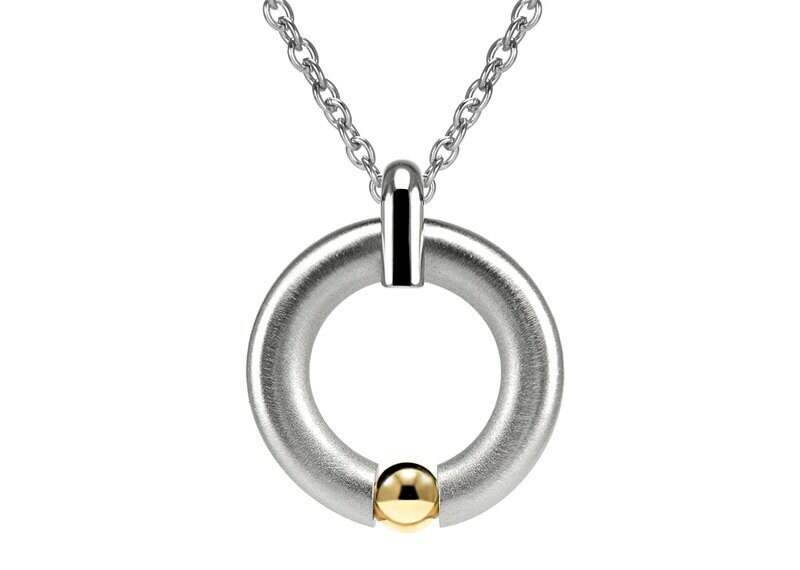 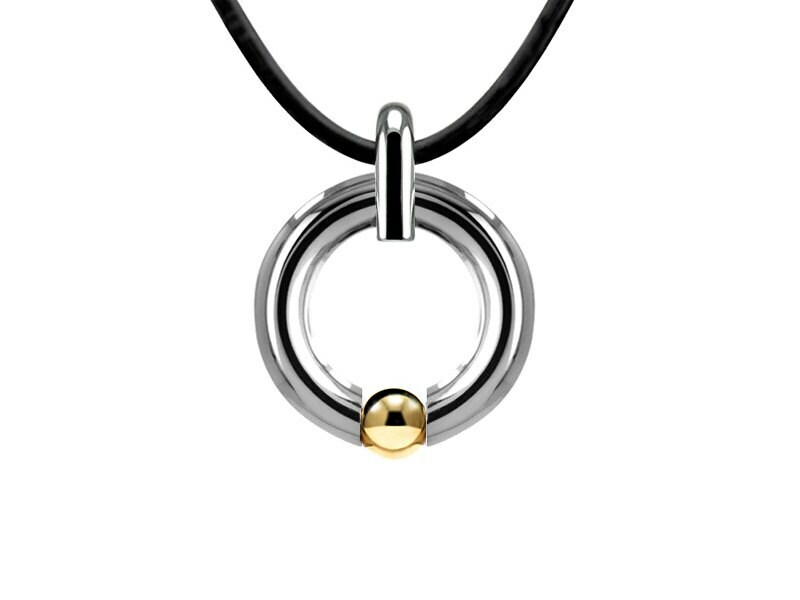 Two tone brushed and polished Stainless Steel Men's pendant with Tension Set Gold Sphere. 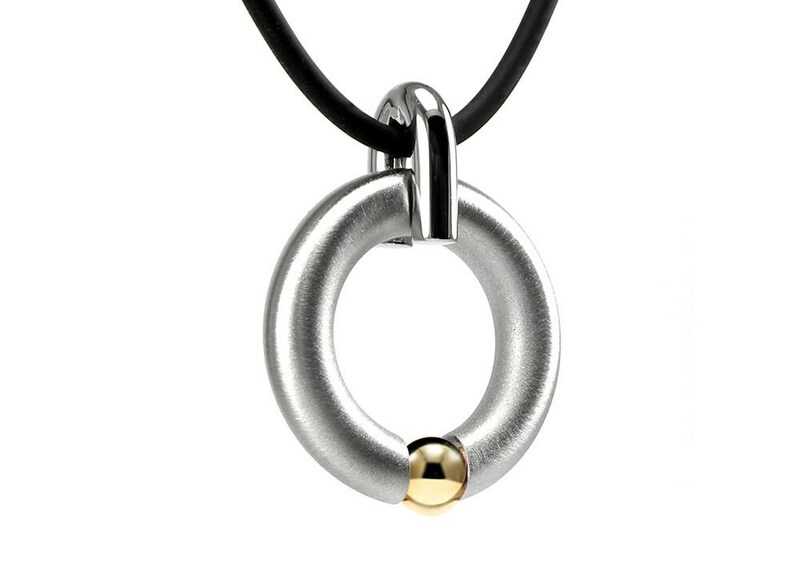 Length availabe from 14" to 26"- You can view both options in the images above. 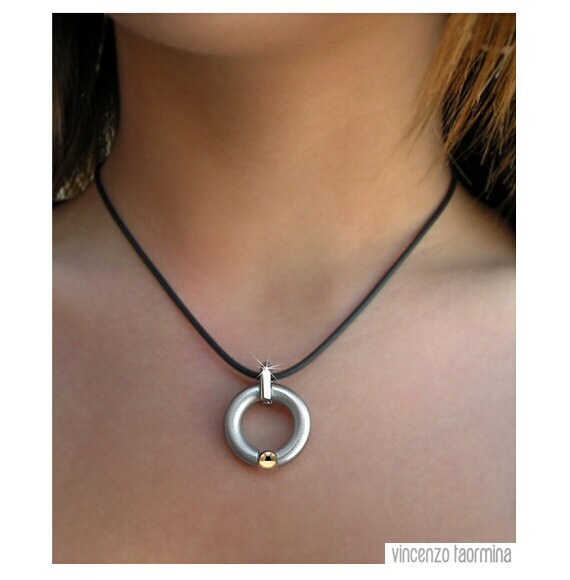 Don't forget to Indicate the necklace Length In the "message to seller" Thank you!